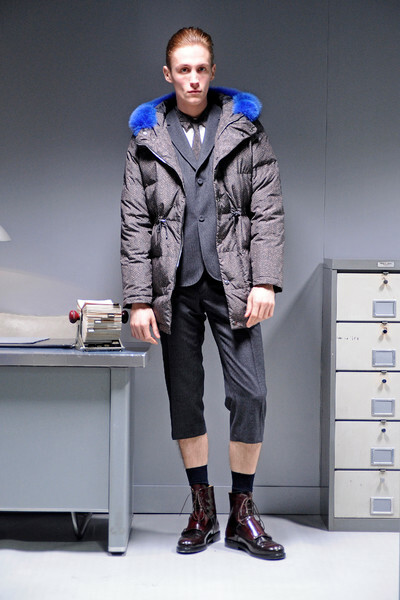 Standing fully dressed in a sober decorated office Carven’s guys seemed ready for work. 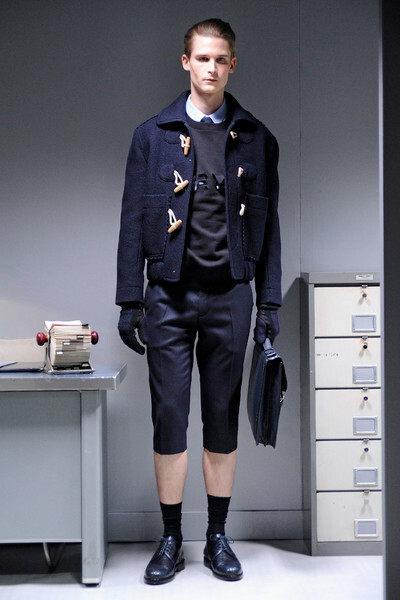 Yet their workspace might have had a classic look and feel, the clothes were classic with a twist. 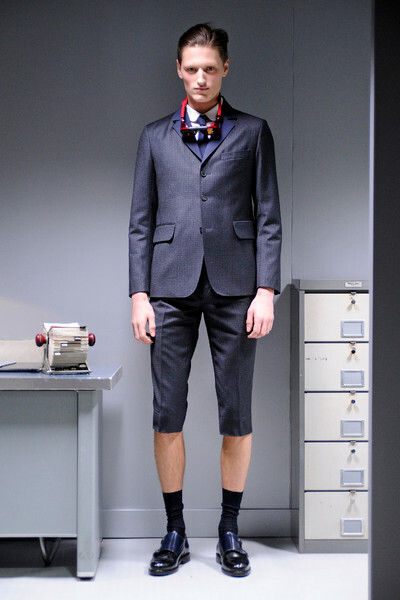 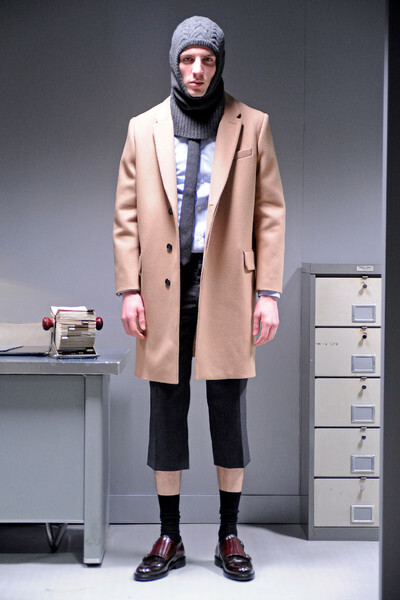 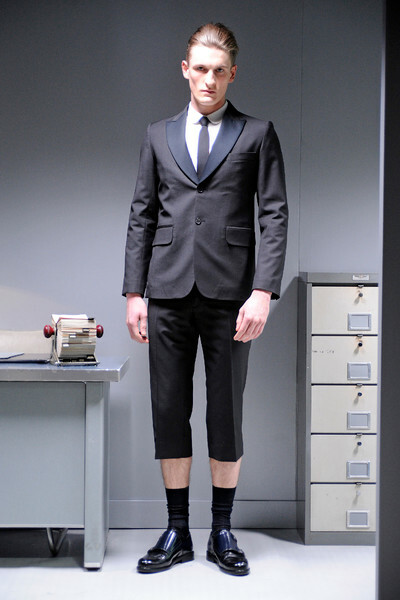 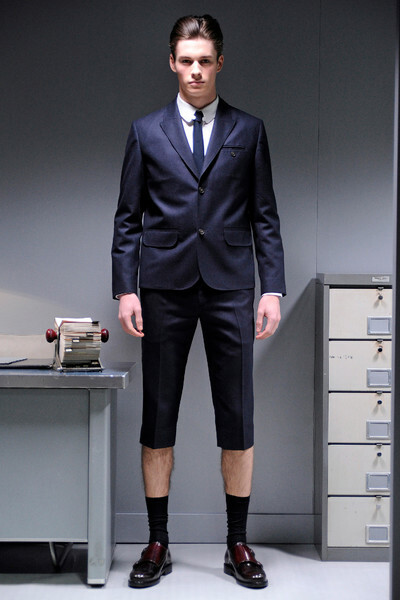 Pleated pants were too short (just over the knee) revealing the models socks. 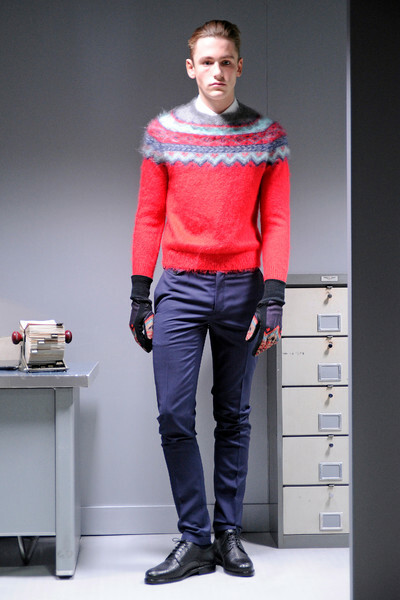 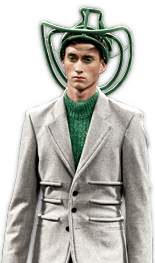 Suit jackets were duo colored and colorful knitwear patterns were introduced. 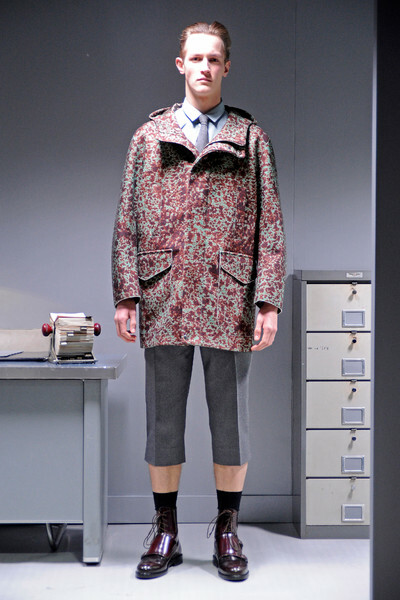 Models wore crazy knitted headgear and we wouldn’t describe the two printed camouflage coats as classic either. 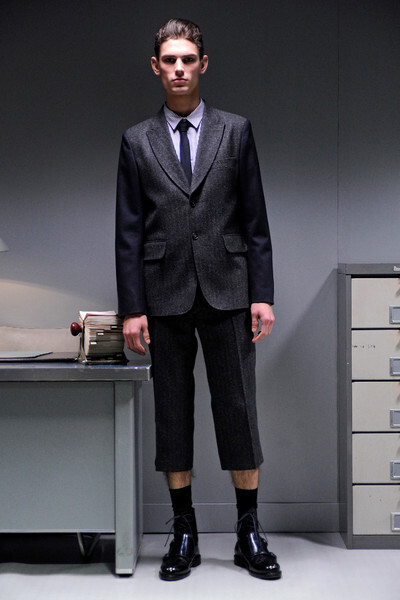 It looked like fun though. 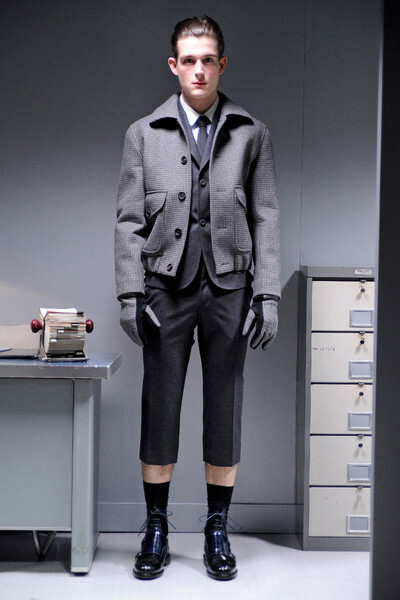 Most of the designs looked classy (not classic). 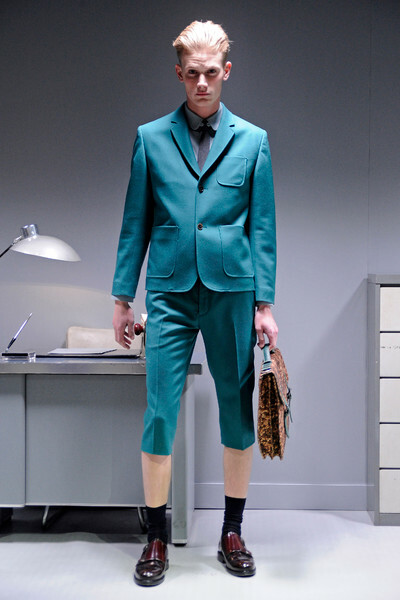 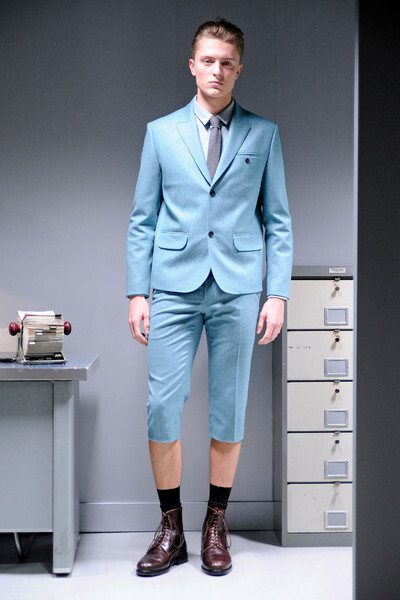 And it might take a while before working men will strut around the office in those turquoise 5/6 pants, but the again there’s always casual Fridays. 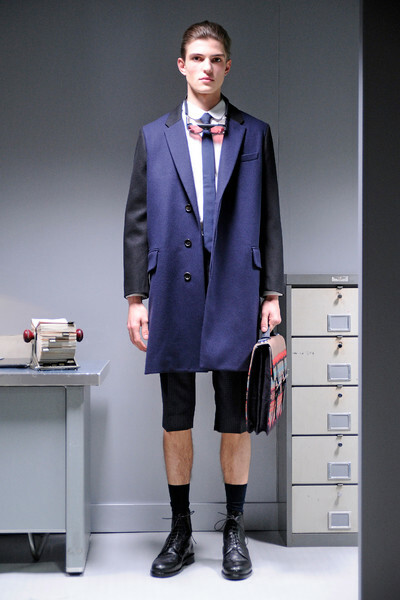 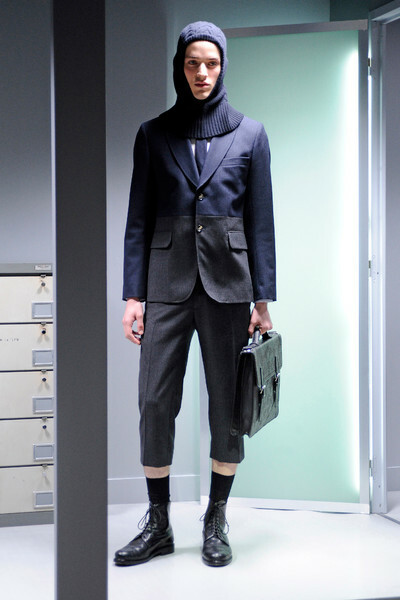 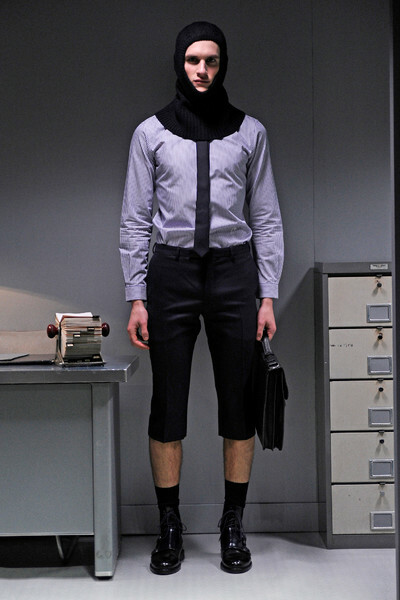 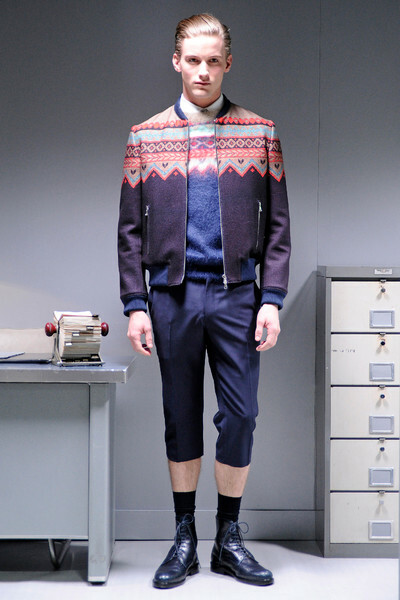 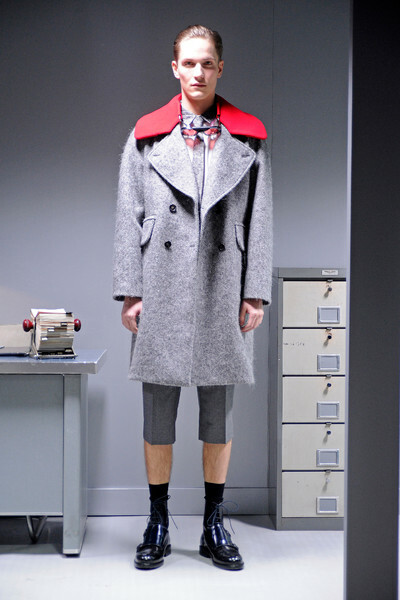 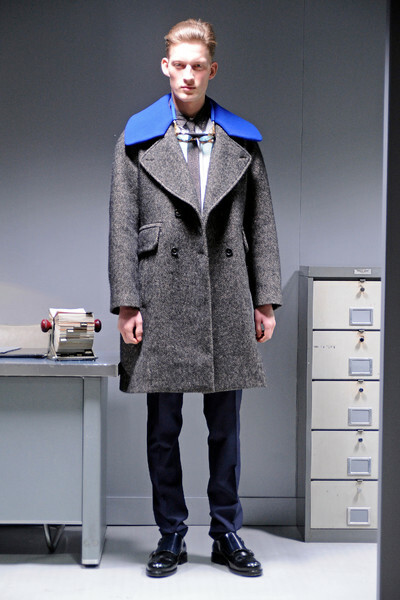 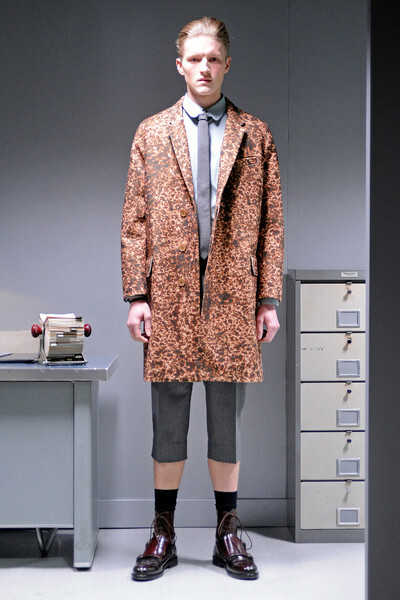 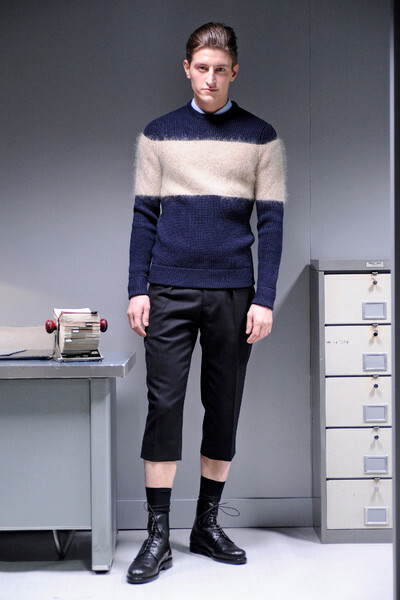 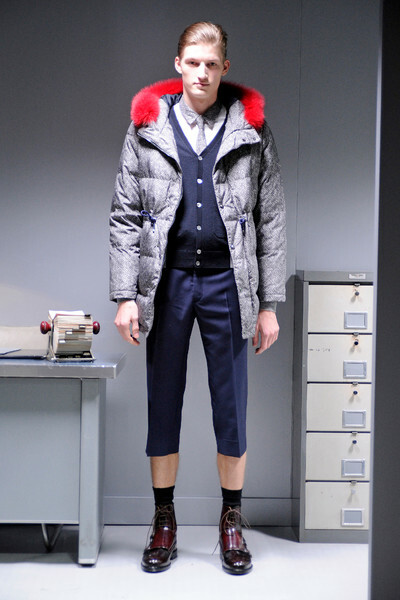 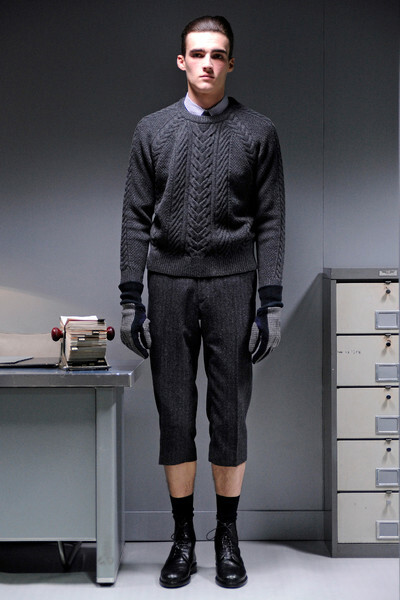 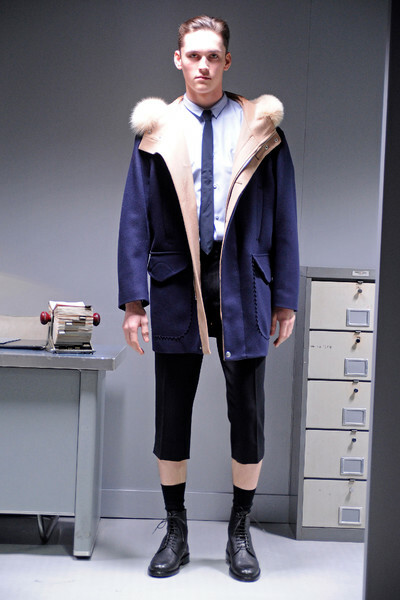 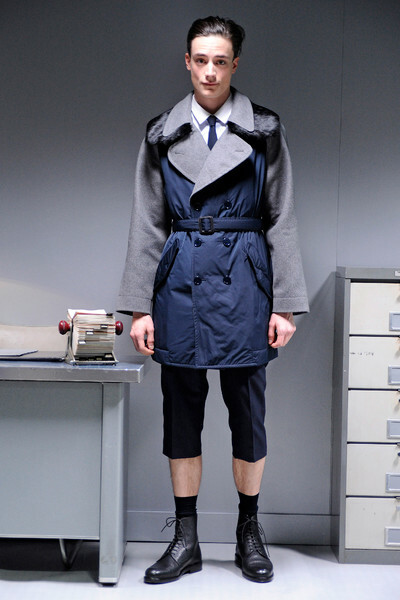 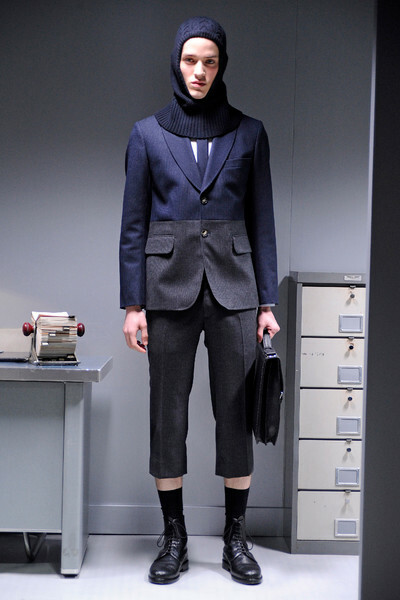 A fine debut collection for Guillaume Henry; changing men’s wardrobes step by step.